First set of task cards in the Idioms series. Cut out and laminate. 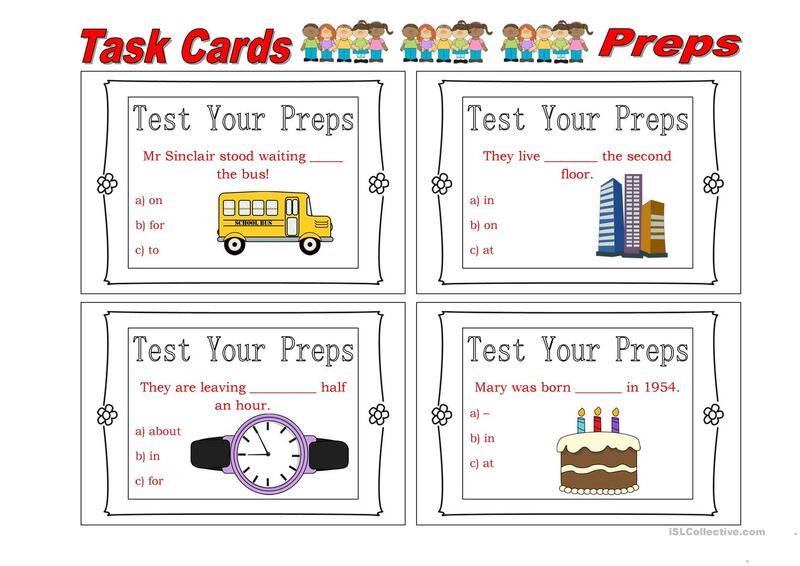 Collect the cards and use them in pairs to revise prepositions. The present downloadable worksheet is recommended for high school students, elementary school students and adults at Pre-intermediate (A2), Intermediate (B1) and Upper-intermediate (B2) level. It is aimed at revising Prepositions in English, and can be used for honing your students' Listening and Reading skills.